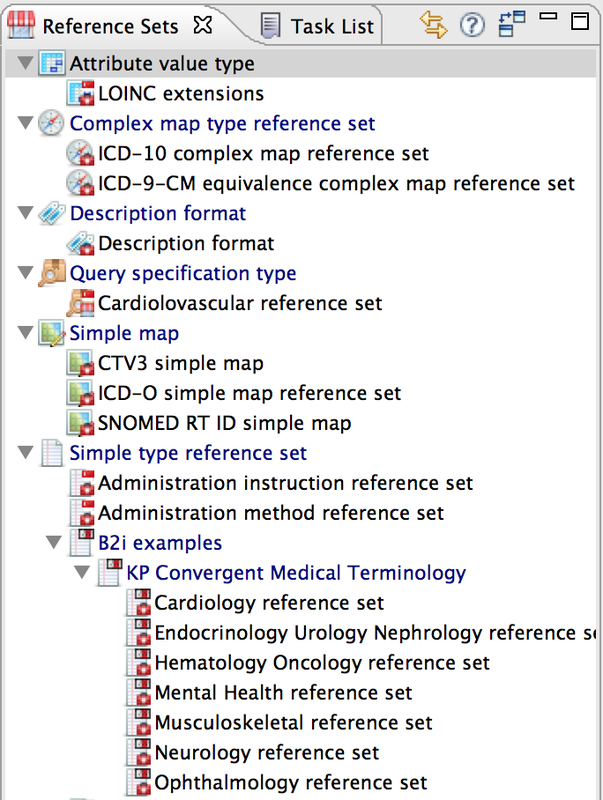 Therefore it's often necessary to extract a smaller collection of concepts from SNOMED CT. This is where reference sets come in handy. They are purpose-built mini-versions of the terminology that contain only the terms that are needed in a specific context, for example all terms needed in an emergency department or for cardiologists. Snow Owl allows you to create and maintain different kinds of reference sets. They are named from the SNOMED CT Release Format 2 specifications, which are described in detail in the IHTSDO's Technical Implementation Guide . 2. 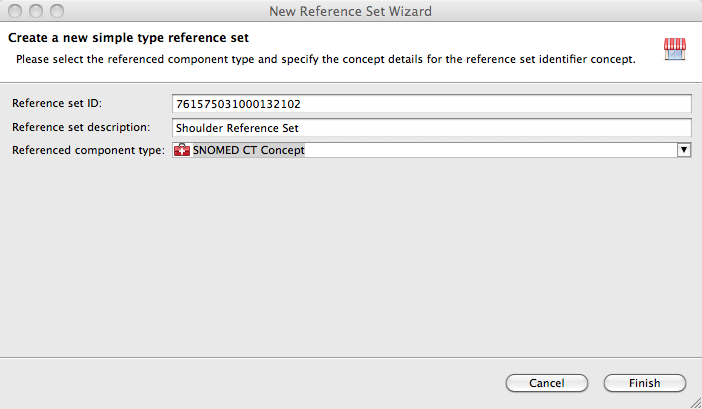 Type a reference set description (here: Shoulder Reference Set) and select the referenced component type (here: SNOMED CT Concept). 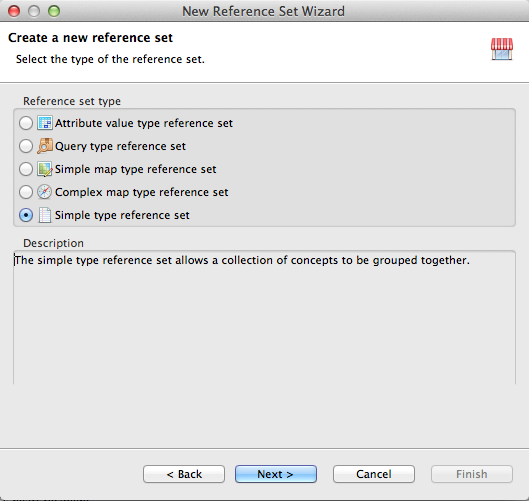 The wizard automatically creates a reference set identifier concept with the title as a description. Click "Finish" to proceed. 3. You may enter a commit comment in the subsequent dialog, then click "OK" to open the Reference set editor. 6. 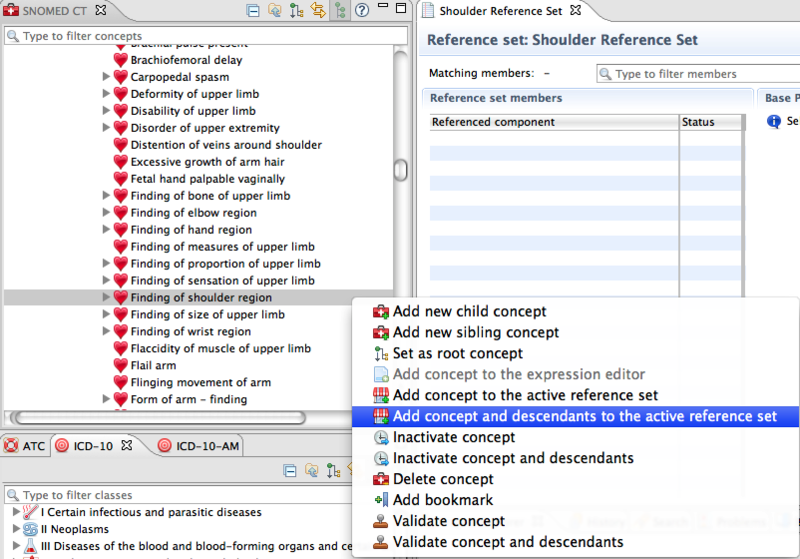 The concept is now displayed in the reference set editor. 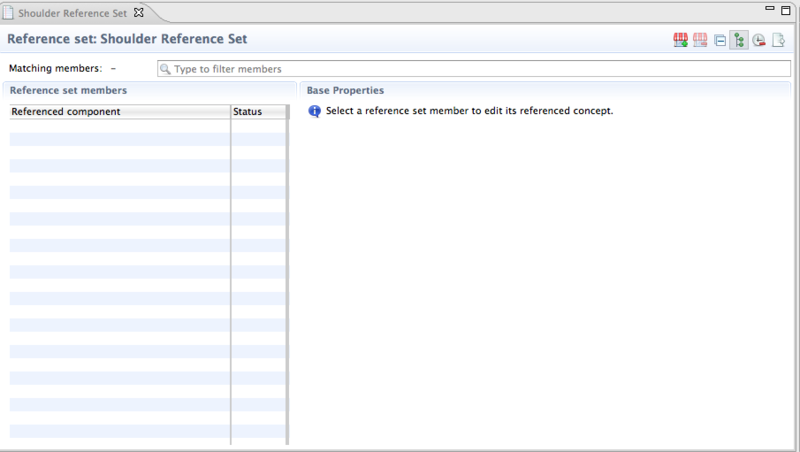 The " matching members" indicates the number of components in the reference set. The small * asterisk in front of the editor title indicates unsaved changes. 7. 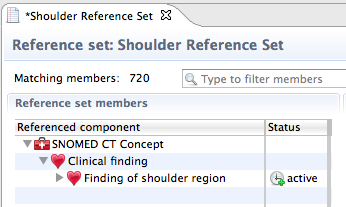 To save your reference set, use the icon in the main tool bar. 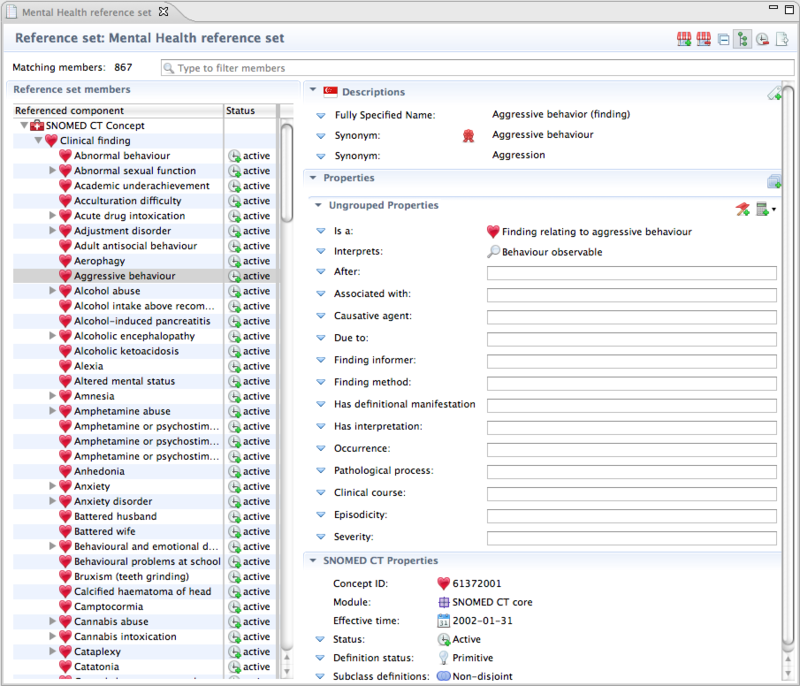 The new reference set will also be incorporated in the hierarchy of the reference set view as a "simple type reference set".